Is Tina Fey’s New Comedy Worth the Price of “Admission”? Bruce Fretts: I went out on a limb at the beginning of the year and picked the year’s most exciting new movies, one of which was Tina Fey’s Admission. Bret Watson: That’s quite an admission. Bruce: Well, it sounded promising to me, based solely on the fact that Tina Fey’s in it, and I’m a huge fan of hers, as I believe you are as well, Bret. Bret: Huge Tina Fey fan. Bruce: And also you’re a graduate of Princeton University, which is where the film is set, so I thought: Who better than Bret—Cranky Guy though he may be—to go see Admission with me? Bret: Is this where I list other people you should’ve seen this with, instead of me? Bruce: I’d hereby like to apologize to you and to anyone who might’ve read that blog post and bought a ticket to this movie, because it is literally a snooze. As I proved by snoring loudly during the would-be dramatic climax of an incredibly anticlimactic film. Bret: You mean the climactic, tense committee meeting in which they’re voting on applicants for a college? There’s nothing wrong with that scene that a gun wouldn’t have improved. Bruce: My question is: What could Tina Fey have possibly seen in this script—which she did not write? Bret: She is so brilliant and fast-paced on 30 Rock, and this was like seeing Tina Fey on Quaaludes. Bruce: I couldn’t tell what this movie was trying to be. Is it a romantic comedy where she and Paul Rudd, who plays the head of an alternative high school who’s trying to get one of his students into Princeton, are falling in love? Or is it a brainteaser about whether the kid might be Fey’s long-lost son? Or is it a biting satire of academia? Whatever the case, it fails on all these counts. Bruce: Or even National Lampoon’s Animal House. 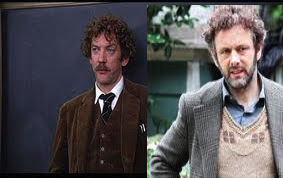 The only thing Admission has in common with that movie is that Michael Sheen—as Fey’s stereotypically stuffy English-prof boyfriend—sports the same white man’s Afro that Donald Sutherland did. Did this movie bring back any fond memories of your days at Princeton? Bret: It was nice seeing Tigertones singing in Blair Arch and the Orange Key Guide giving campus tours to the applicants, which I used to do. Bruce: I personally was offended by because Tina Fey went to my alma mater, the University of Virginia, so why not set the movie there? We overlapped for one semester, during which we never met, but I used to wonder what might’ve happened if we had. Bret: You mean how many times you would’ve been slapped? Bruce: I’ve interviewed her many times over the years and found that we have no personal chemistry together. But I’ve never played the U.Va. card with her because I figured she’d think it’s cheesy. Bret: I guess she’s just one of those funny people who isn’t funny in interviews. Bruce: She’s been funny in our interviews. She just seems not to be interested in me in any way whatsoever. Bret: Can you blame her? Bruce: No, I can’t. I have to admit my crush on her is fading, particularly after this movie, because she was just so blah. Bret: She wasn’t bad, but she wasn’t good. 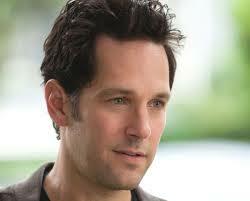 Bruce: And Paul Rudd, who can be funny in movies like I Love You, Man and Wanderlust, is equally uninteresting here. Bret: He had one expression in the movie–that doey-eyed, earnest, sincere look. I enjoyed Lily Tomlin, who seems to get sexier the older she gets. Bruce: Oh, you liked her with the big fake breasts? Her character, Fey’s hippie mother, has had a double mastectomy, which seems like an odd plot point for a comedy, along with a few others, like the fact that Rudd has adopted a son from Uganda whose mom died in a car crash. This is funny? Bruce: One which I plan to never read. Bret: Those seem like the kinds of things you can get away with in a novel—quirky, random details and an ambling pace and a lot of attention to relationships without a lot of action—but they don’t work in a film. Bruce: In a comedy, I expect jokes, humor and laughs, and I found none of those here. 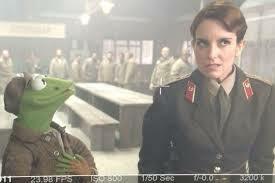 Maybe Tina Fey will have better luck in her next movie, in which she costars with the Muppets. Bret: That seems like an odd fit for her. At her best, she’s a little caustic, and I’m not sure that works with the Muppets. Bruce: Maybe she’ll fall in love with one of our Muppet doppelgangers, Statler and Waldorf, and make my former dreams come true. Bret: Well, that puts some unpleasant images in my head. Did you attend Admission? If so, what grade would you give it? Post a comment! I haven’t seen Admission, but you are echoing a lot of the thoughts I had about Date Night. It was an okay movie. I didn’t hate it, but it wasn’t up to the level of what I expect from Tina Fey. Hopefully, now that 30 Rock is over, she will start writing movies for herself. I love everything about Tina Fey, but I especially love what comes out of her mouth. It’s important that she retains “her voice”, even when she’s playing a role. I know that seems as though I want to pigeon hole her in one type of role for the rest of her life, but that’s not what I’m suggesting. I could enjoy her in a role where she’s a complete idiot, as long as she is writing the script. In fact, she would be hilarious as an idiot…in one of her smartly-written scripts! Yes, Date Night wasn’t very good either. But it was better than Admission. I do hope she starts to write movies for herself again as well. « Fretts on Film Goes to France!